I’ve always liked red barns. I’m not sure what it is about them. 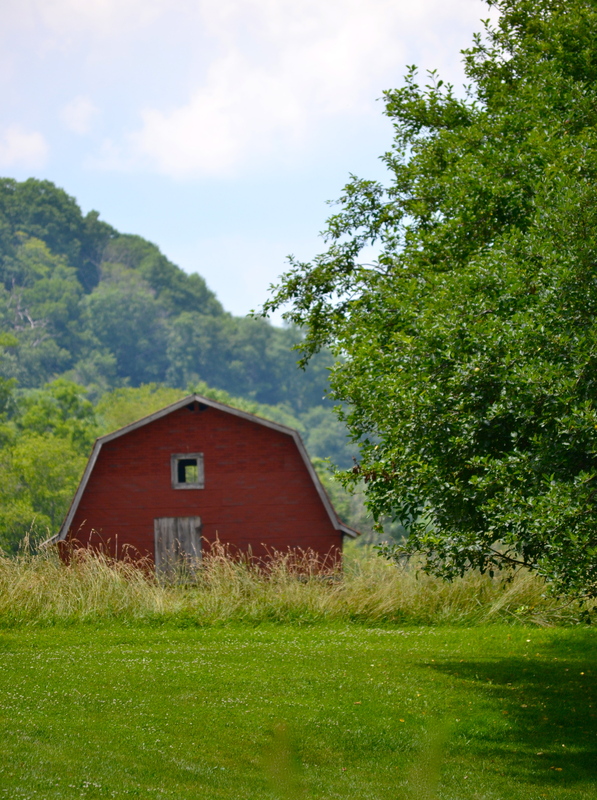 (I guess I just like barns in general, but red ones stand out for me). I wonder if it’s being used. Maybe our house-hunting is over! It sounds crazy but I think I’d enjoy living in a barn. We once lived in a studio apartment with two small children (while in grad school)… the barn would’ve been roomy compared to that! 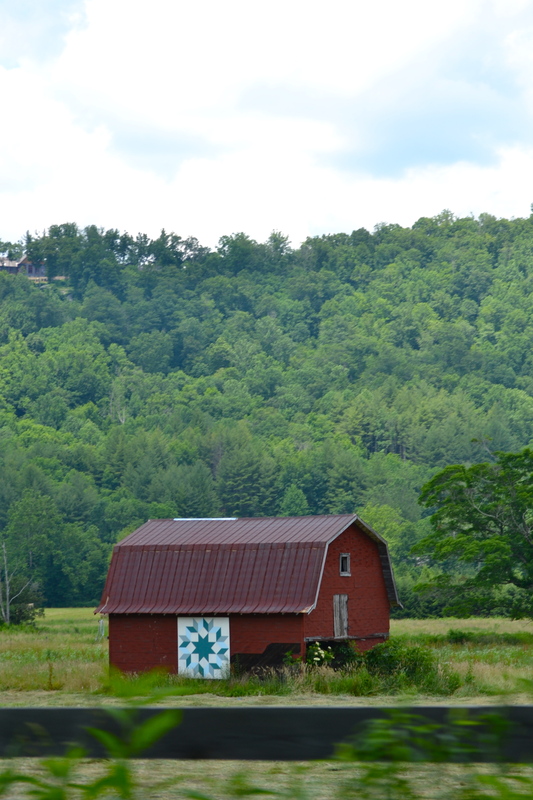 As we drove along, the side of the pretty barn came into view. A lovely quilt pattern was painted on it! This made the value go up even more. I know what you’re thinking… there would be some remodeling to be done inside..
but it would fun…don’t you think? I love old barns, too! Great shot, Daisy! I would love to live in a barn. Sometimes they have a tin roof – I love to hear rain on a tin roof. You sound like a barn stalker!! Very nice pictures. Thank you so much for such a nice comment!! 🙂 I look forward to reading more of the Apple Hill Cottage history. I’m so glad you liked the Journal cover… it’s pretty easy and quick. You’ll have fun making it. I agree! I think that’s why I like the country.